2.3 x 4.5 x 0.4 in. With a higher-resolution 8-megapixel backlit sensor, a faster processor, and all the photography apps you can imagine, the Apple iPhone 4S is an incremental improvement in color and low-light performance, and offers a minor increase in measured resolution. More natural color; Volume-up button now serves as shutter release; Better overall contrast; Brighter lens; HDR improves dynamic range in stills. Image quality still not on par to dedicated digital cameras; No optical zoom; No Macro mode; Heavy noise in high ISO shots; Lens not as wide. The Apple iPhone 4S is available in the US from AT&T, Verizon, and Sprint, as well as a few smaller carriers from US$199.99 in its 16GB version, or US$299.99 for the 32GB version, and US$399.99 for a 64GB version with a 2-year contract. Most carriers offer white and black models. Unlocked, the iPhone 4S lists at US$649 for 16GB, US$749 for 32GB and US$849 for 64GB via the Apple Store. A measure of how far smart phone cameras have come is how seriously they are now taken as legitimate photographic tools. In some ways, this site is partially responsible for that view. Last Fall, we posted a generally positive review of the Apple iPhone 4's 5-megapixel iPhone camera, based on the rigorous testing we use for evaluating conventional digital cameras. Other sites picked up on our iPhone camera review and, to paraphrase some of the feedback we received, it was considered a "sign of the times" for these devices. No longer were they just a photographic "last resort." The image quality produced by smart phone cameras had become decent enough that you could conceivably use them for much of your picture-taking. The fixed aperture of the iPhone 4S' new five-element, fixed-focal-length lens has increased slightly, from f/2.8 in the iPhone 4, to f/2.4 in the iPhone 4S, making it, theoretically, a better performer in low light. The actual focal length has become somewhat more telephoto, at 4.28mm on the new model, versus 3.85mm on the earlier phone. That equates to about a 35mm-equivalent focal length, compared to the iPhone 4's 29mm equivalence. Apple also says the iPhone camera in the 4S uses a new hybrid infrared filter, which is designed to produce more accurate and consistent color. The iPhone 4S camera also now boasts face detection and can lock in on up to ten faces in a single scene. The iPhone 4S' face detection feature is pretty effective: it even detected and locked in on this sculpture. Video capture specs for the iPhone camera have also been upgraded, and the iPhone 4S is now capable of Full HD (1080p; 1,920 x 1080 pixel) video capture with audio, at a progressive-scan rate of 30 frames per second. The iPhone 4 was limited to 720p (1,280 x 720 pixel) capture. In addition, there's now a video stabilization function, although it's software based, not mechanical stabilization. The iPhone camera in the Apple 4S still has autofocus and uses an LED-based flash for night shooting of nearby subjects. The front-facing FaceTime camera in the iPhone 4S specs are the same as the previous model, offering only VGA (640 x 480 pixel) standard-def capture at 30 frames per second. As mentioned, though, the FaceTime camera is designed for video-calling, not regular image capture. Have all these changes made the iPhone 4S a truer rival to a dedicated digital camera? Let's take a look. As a mobile device, I find the iPhone to be exceedingly portable and pleasant to carry around. Its weighty but not heavy rectangular body slides comfortably into your pocket and is easy to quickly retrieve when you want to make a call or, more importantly for this review, take a photo on the fly. What the iPhone 4S isn't particularly suited for, in terms of design, is being used as a digital camera. As with its predecessor, the iPhone 4S feels slippery in your hand when you pull it up to take a picture, and we'd highly advise you to get some sort of case with a tactile exterior that makes it easier to grip. The iPhone 4S's 3.5-inch "Retina" display hasn't changed from the earlier model, and includes a capacitive touchscreen, has a resolution of 960 x 640 pixels, and is manufacturer-rated for a maximum brightness of 500cd/m2 and a contrast ratio of 800:1. In short, your photos will look great in playback and one of the most enjoyable things about the iPhone 4S is swiping though images and showing them off to friends and family on the beautiful screen. The iPhone 4S, like its predecessor, struggles with noise at higher ISOs. Even at ISO 500, you can still see crunchy noise in the gold of the guitar and shadows areas of the case. As much as I like this software/hardware change in iOS 5, it's not perfect. First off, it works much better when you're taking a photo with the phone turned horizontally and the volume up button is in the same righthand spot as the shutter of a traditional digital camera. When you turn the phone vertically, of course, the volume button is on the upper left side of the phone and harder to trigger. The volume button is also a lot stiffer than the shutter on a digital camera and pressing it sometimes caused me to shake the phone, which resulted in slightly blurry photos. Color and detail were excellent in decent light but we only got slight background blurring from the iPhone 4S' f/2.4 lens. In my review of the iPhone 4 camera, I griped about how it was difficult to get the phone quickly into camera mode, especially when the phone is locked. This was frustrating because iPhone photography is based around capturing spontaneous moments and you don't want to get stuck searching for the camera app. With the 5.1 update, a camera icon now appears on the phone's lock screen. To get your iPhone in picture-taking mode, all you need to do is swipe the icon up, which reveals the image capture screen. It's a typically nifty Apple interface, but would it be too much to ask for a way to make it a little faster? I like the "swipe up" effect but if your hands are sweaty or sticky, it can take a couple flicks to work. How about also being able to tap or double tap the icon to switch to camera mode? Hopefully Apple will add this or something similar in the next iOS update. Other software changes in iOS 5.1 for the iPhone 4S are more refinements than revolutionary. There's an overlay grid option that helps you keep lines straight in landscape or cityscape shots. There's also a way now to digitally zoom in on a subject on the screen via pinch-and-enlarge gestures. As with the previous phone, you can choose to focus on a particular subject just by tapping it on the screen. Speedy processing. Along with making it easier to take pictures quickly via new tools in the updated operating system, the iPhone 4S has a faster processor that helps the camera operate more speedily overall. The iPhone 4S sports a new dual-core Apple A5 processor, and tweaked imaging algorithms designed to improve the color accuracy, white balance, and dynamic range of its images. While we did find improved image quality -- more about that later -- the new processor made the iPhone 4S camera noticeably quicker on the draw when shooting images. Apple has claimed "zero shutter lag" and suggested the iPhone 4S' design offers up "an image signal processor that's just as good as the ones found in DSLR cameras." That's a bit of a stretch, but in optimal lighting while using the volume up button for shutter control, the iPhone 4S camera can capture an image in about a quarter of a second. In lower light, the iPhone 4S needed a quarter second to focus, but results were on par to even some of the faster compact digital cameras. Shot-to-shot times were also impressive, with the iPhone 4S camera snapping photos as quickly as I could press the volume up button. I only wish Apple would add some kind of continuous or burst shooting mode. Based on its very fast single-shot speed, the iPhone 4S should be capable of a fairly significant number of frames per second. Like its predecessor, the iPhone 4S has a built-in HDR function, which captures three photos  one underexposed, one overexposed and one neutral  and then combines them to create an image with better dynamic range. So, for instance, in an outdoor photo with lots of contrast (such as an image of a park with lots of overhanging trees), the shadow areas are brighter and the highlights are toned down to reveal more detail in the shot. I like the effect and frequently shoot with the iPhone 4S in HDR mode, but find it to be rather slow, even with the new processor. Like the previous model, the iPhone 4S took an additional 4-5 seconds to produce a finished HDR photo after capture, with the phone saving both the original image and the combined shot. Your subject also has to remain still so that all three images are essentially the same. Image quality. For all the iPhone 4S camera's enhancements, I didn't find its image quality to be significantly better than the iPhone 4. But given that the iPhone 4 was one of the best smartphone cameras I'd shot with, it's a tough act to follow. Like its predecessor, the iPhone 4S camera uses a 1/3.2-inch backside-illuminated (BSI) CMOS sensor with the wiring on the rear of the chip so it doesn't block the incoming light. In the iPhone 4S, it's upgraded to 8 megapixels. But compared to the sensors in even the cheapest dedicated digital cameras out there, it's a tiny imager. In my test shots, captured while strolling around my neighborhood and shooting with the iPhone 4S in a range of lighting conditions, the camera did well at ISO 100, but anything above ISO 400 was full of crunchy image noise. 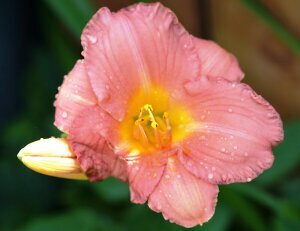 Focusing on the bottom flower yielded the best results in our Atlanta tests. Because the iPhone 4S' imaging sensor is so small and the focal length so short, the lens' f/2.4 aperture produced minimal background blurring. This is a big contrast with a DSLR with a lens with a similar aperture, which would produce a pleasing out-of-focus background (aka bokeh) to really make the subject pop. On the other hand, our test close-ups of a garden full of flowers showed sharpness over nearly 100% of the frame, which was impressive. My iPhone 4S daylight shots were clean and crisp with good contrast and attractive color including natural-looking skintones. Photo and video geotagging is of course supported, allowing location to be viewed in programs like Google Earth. I got more consistent color with the iPhone 4S camera than the earlier model. That's partially because the iPhone 4S doesn't have the same tendency to drastically oversaturate as its predecessor did. My springtime shots, including one of customers getting ice cream from a Mister Softee truck, looked clean and crisp but weren't marked by the dramatic high contrast and overly bold color I got from the iPhone 4. The iPhone 4S' extra megapixels also meant I could comfortably print these shots out to as large as 13x19 inches. As expected from a camera with a tiny chip and lens, sharpness fell off in the corners of my images, but it was really no worse than what you'd get from a point-and-shoot camera. Focus was not always reliable, even though we tapped on the subject beforehand. The top shot of the girl shows sharp eyelashes, while the bottom shot is a bit softer in the face, despite the ISO 64 setting. Full HD. 1080p30 H.264 video. Click thumbnails to download/play samples (36.7 and 65.3MB). As a video camera, the bump up to full 1080p HD was noticeable, especially if you plan to show your iPhone movies on a large high-def TV. The iPhone 4S' software-based image stabilization helped steady our shaky clips -- which is more of an issue at 1080p -- but we would've liked true mechanical image stabilization, mainly because it's so hard to hold an iPhone still for long periods of time. Part of the fun of shooting with a smart phone are apps like Hipstamatic, which can make this rather dull scene into something more dramatic. Apple has also added a few in-camera editing functions to the iPhone 4S via iOS 5x but, in our opinion, there could be a lot more. For instance, you can crop, rotate, remove red-eye or "enhance" a photo by touching the magic wand icon on the edit screen. That's pretty paltry considering how much you can with do with just a few downloads from Apple's App Store, but maybe that's the point. This is a photography tool that grows with you as you add apps. As to whether the iPhone 4S has improved its imaging skills enough to replace your dedicated digital camera, we'd still say no. There are just too many photographic limitations to this smart phone camera that no number of apps can correct. Once again, it's an apples -- so to speak -- to oranges comparison. Even though the iPhone 4S camera is one of the best smart phone cameras around, it's still a smart phone camera. If you want to capture truly great images, you'll probably still want a high-end compact camera or digital SLR. But if you want to shoot very good images with an extremely mobile device that makes photo-sharing a snap, the iPhone 4S is still a good bet. And is there anything wrong with owning more than one imaging device? We think not. Sharpness: The iPhone 4S's lens is moderately soft in the extreme upper right corner, but the other three corners are only slightly soft, and blurring doesn't extend very far into the frame. The center is quite sharp and contrasty. You can see from the dimmer corner crops that some light falloff is also visible, but it's not too bad. Pretty good performance here, and slightly better than the iPhone 4 we tested. Keep in mind, though, that the iPhone 4S's 35mm equivalent lens isn't as wide as the iPhone 4's 29mm lens, though it is faster (brighter) at f/2.4 versus f/2.8. Geometric Distortion: There's a small amount (~0.1%) of complex barrel distortion from the iPhone 4S's lens, which is only slightly noticeable. This is also an improvement over the iPhone 4's 0.4% pincushion distortion. While not as wide as the iPhone 4's lens, perspective distortion can still be an issue with closer subjects, as can be seen by the elongated mannequin head in our indoor portrait shots below. Chromatic Aberration: Chromatic aberration is negligible. There are hints of magenta and red fringing, but nothing to be concerned about. Macro: The Apple iPhone 4S's Macro mode produces images that contain good but slightly soft detail across much of the frame, though there is some additional softening near the edges. (Most lenses produce some corner softening at macro distances.) Interestingly, the extreme top-left corner is sharp. Our 4S macro shot has some discoloration in the center, though it's not as dramatic as the 4's, but there are also some odd, greenish horizontal bands visible that we didn't see with the 4. 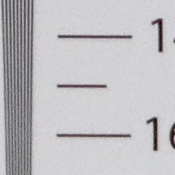 The minimum coverage area of 2.63 x 1.97 inches (67 x 50mm) is larger than most digicams but slightly smaller (better) than the 4. The iPhone 4S's LED "flash" provides very narrow coverage, even narrower than the 4's considering the longer focal length, resulting in flash exposures with a lot corner shading up close. Flash color seems more neutral than the iPhone 4's, though, but still a bit cool. Color: Most iPhone 4S colors are oversaturated by small to somewhat high amounts (average oversaturation is 21.6%), though not as pumped as the iPhone 4's (29.2%). Hue accuracy has improved as well, with a mean Delta-C error of 5.63 after correction for saturation. The iPhone 4's color error was 6.79 (lower numbers are better), so the 4S's score is quite an improvement, though still not quite as good as most compact cameras score. 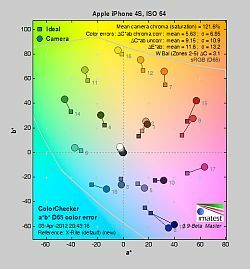 There are some mild to moderate shifts in some colors as well, but overall hue accuracy is pretty good, and we found the 4S's color to be more natural-looking overall than its predecessor's. Whites and grays are still shifted slightly toward green and yellow, though, indicating slightly inaccurate auto white balance. Darker Caucasian skintones are sometimes pushed toward orange, while lighter skin tones are only slightly pink. The iPhone 4's skintones were very pink, so the 4S has improved here as well. Incandescent: The stock iPhone 4S provides no user control over white balance, however its auto white balance produced decent results indoors, though with a warm, reddish cast in standard incandescent lighting. While a bit too warm, some may prefer this more natural-looking result than the iPhone 4's much cooler white balance for this shot. Resolution: Our laboratory resolution chart revealed sharp, distinct line patterns down to about 1,500 lines per picture height horizontally, and to about 1,450 lines vertically. That compares very well to 8-megapixel digicams and is a noticeable improvement over the iPhone 4's resolution. Extinction of the pattern occurred at around 2,800 lines per picture height. Flash: We're not sure if Apple has rated the range of the iPhone's LED "flash," so we took a series of shots from 6 feet to 10 feet in 1-foot increments. At right, you can see the extremes of that test range. At 6 feet, the flash target was fairly bright, though the iPhone 4S raised ISO to 640, producing a very grainy image. At 10 feet, the exposure was quite dim (and out of focus) despite the boost in ISO to 800, and even noisier as you'd expect. Obviously 10 feet is too much to ask from a tiny LED flash. As you can see from the bottom left image, flash coverage is quite narrow and not very centered even at non-macro distances, though some of the corner fall-off is from the lens itself. Our standard Indoor Portrait scene was a little dim with the flash enabled, but still usable. The exposure retained some ambient light by using a relatively slow shutter speed of 1/20 second, while ISO was only raised to 100. The exposure is a little dimmer than what we saw with the iPhone 4, however it's more even, though the center of the image still has a slightly cool tint from the flash compared to the warmer periphery. The iPhone 4S's brighter lens allowed it to use a slightly faster shutter speed than the iPhone 4's 1/15s, but blur due to subject or camera phone motion will likely still be a problem at that speed. Low Light: The shot at right shows how well the iPhone 4S performs in low light without a flash. This test shot was taken at a light level of one foot-candle. (The one foot-candle light level roughly corresponds to the brightness of typical city street-lighting at night.) The slowest shutter speed supported appears to 1/15 second, so the resulting image was a bit dim despite the reasonably bright f/2.4 lens and ISO boost to the maximum of 800. As you can see by looking at the full resolution version, the image is very noisy at such a high ISO. Still, slightly better low-light performance than its predecessor. High Dynamic Range: Like the iPhone 4, the 4S offers an HDR mode which combines three exposures to retain better highlight and shadow detail than is possible from a single image. The test shots at right aren't the greatest examples because the scene isn't very contrasty, though you can still tell that the HDR image has better highlight retention in the white cloth and yarn, while having slightly better shadow detail as well. The HDR image is also less noisy in the shadows with enhanced detail overall, though oddly, noise in brighter areas seems to be a bit higher. ISO: Noise and Detail: Images from the iPhone 4S are relatively noisy even at low ISOs, as you'd expect from such a small sensor, but as we've said many times before, we prefer this over images that are clean but have had too much detail smudged away by aggressive noise reduction. While noise "grain" is visible when viewed at 100% on screen, it's pretty fine at low ISOs, leaving a lot of detail. Still, a typical 8-megapixel digicam does much better, but you probably already knew that. The iPhone 4S still doesn't offer control over ISO, so we can't really comment on how noise and noise reduction behaves as sensitivity rises. By comparing lab shots from the two models, though, we see that the iPhone 4S seems to be applying slightly stronger noise reduction than the iPhone 4, but the additional megapixels do capture more fine detail in most cases. Chrominance noise appears to be better controlled than the iPhone 4 as well. Apple has also backed-off on sharpening, contrast, and saturation, so 4S images don't "pop" as much as the 4's, but we like the changes, at least on screen. For more on how this affects printed images, see the Printed section below. The iPhone 4S's camera produces enough detail to print a usable 13x19-inch print at ISO 64, but 11x14-inch prints look better. 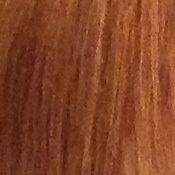 Reds are soft, but overall color and contrast are improved over the iPhone 4. ISO 100 shots are a bit rougher at 13x19 inches, but look better printed at 11x14. ISO 500 shots are good at 11x14, but look a little better at 8x10. ISO 800 images are usable at 8x10, but look a little better at 5x7. Overall, the iPhone 4S's images are surprisingly good at the lowest ISO setting, though not much better than the iPhone 4. 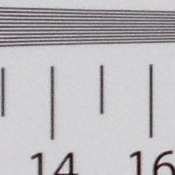 Noise becomes noticeable quickly as ISO rises, even at ISO 100. 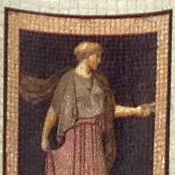 It's understandable, given the camera's status as one small component of a more complex handheld computer and cell phone. Higher ISO settings are a little better than the iPhone 4, but not much. We also can't control the ISO on the iPhone 4S, so our numbers don't correspond evenly with the iPhone 4. Sorry, no lab performance numbers, as we're not setup to test camera phone timing. See the "Speedy processing" section above for our reviewer's thoughts on performance. The camera in the Apple iPhone 4S is not a huge leap forward from the previous model, but it is an improvement in many ways. One of the biggest additions, however, actually comes from the upgrade to Apple's iOS 5x, which has added a number of significant photo features to the iPhone 4S, not the least of which is the ability to now use the phone's volume up control to trigger the camera's shutter. Apple's iOS 5x has also added a nifty shortcut to the iPhone, letting you get to image capture mode just by sliding a camera icon on the lock screen. These additions -- and a few others -- make taking photos with the iPhone 4S a more seamless and natural experience. The iPhone 4S's 8MP BSI sensor produced photos with more detail than the previous phone, but only just. But while we were a little more comfortable printing out 13x19-inch photos with the iPhone 4S, we didn't think the overall image quality had improved significantly, and still call the images more "usable" than "good" at that size, far preferring 11x14-inch prints. The iPhone 4S still struggled while shooting at high ISOs in low light and it could be frustratingly inept to use for even basic shooting situations. For instance, its macro capability was only so-so. Color was punchy but more accurate than the iPhone 4; sharpness was surprisingly good, and the camera's built-in HDR feature helped us produce even exposures in tricky lighting. The iPhone 4S camera is also lightning quick to use, thanks to its new dual-core A5 processor and fast shutter and shot-to-shot times. Everything else, including its sweet 3.5-inch, 960-by-640-pixel "Retina" touchscreen; Face Detection for up to ten faces; and a faster f/2.4 lens, is just icing on the cake. Though it's still not as good as a dedicated digital camera for taking photos, the iPhone 4S camera and its ability to snap and share images quickly with the help of thousands of photo apps, makes it the new champ of iPhoneography and a clear Dave's Pick for smart phone photographers.